This paper introduces the reader to the automated dispensing equipment commonly used in electronics packaging, printed circuit board assembly, and other electronics manufacturing. Automated dispensers excel in the areas of manufacturing that can be most helpful in the construction of fuel stacks. 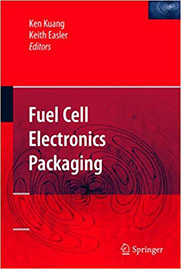 To demonstrate these capabilities, the discussion will describe a variety of mechanical, electrical, chemical, and thermal processes which could apply to the particular needs of fuel cell manufacturing. Typical automated dispensing processes include bonding, sealing, making electrical connections, depositing getters and catalysts, and applying insulating coatings.